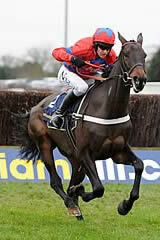 There have been few more impressive winners this season than Sprinter Sacre who waltzed to a facile six-length success against seasoned rivals in the rescheduled Grade Two Game Spirit Chase at Newbury on February 17. The Nicky Henderson-trained six-year-old is one 15 contenders remaining in the £130,000 Grade One Racing Post Arkle Chase run over two miles on The Festival’s opening day, Champion Day, Tuesday, March 13. With a weight-adjusted Timeform rating of 174p, he is currently rated 1lb behind last year’s William Hill Supreme Novices’ Hurdle victor Al Ferof with Cue Card and Bog Warrior both on 168. The £130,000 Grade One RSA Chase, run over an extended three miles on Ladies Day, Wednesday, March 14, has 25 entries going forward headed by the David Pipe-trained Grands Crus. Last year’s Ladbrokes World Hurdle runner-up is unbeaten in three outings over fences, most recently in the Grade One William Hill Feltham Novices’ Chase at Kempton Park on Boxing Day. 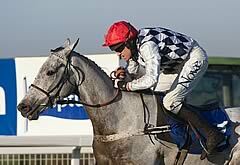 The grey has a weight-adjusted Timeform rating of 174p, 3lb clear of Bog Warrior on 171 with the Nicky Henderson-trained Bobs Worth on 169p. Also taking place on Ladies Day is the longest race of The Festival, the four-mile £75,000 Diamond Jubilee National Hunt Chase Challenge Cup, which has 57 remaining entries, while St Patrick’s Thursday, March 15, sees the second running of the £90,000 Grade Two Jewson Novices’ Chase over two and a half miles which has 34 remaining entries. The Festival gets underway with the £100,000 William Hill Supreme Novices’ Hurdle which has 61 entries going forward. Top-rated on weight-adjusted ratings with Timeform on 169p is the Nicky Henderson-trained Simonsig, who recently sauntered to a facile victory at Kelso on February 15, followed by his stablemate Darlan on 165 with Sous Les Cieux, trained by Willie Mullins on 160. Simonsig is rated 1lb below the Philip Hobbs-trained Fingal Bay (170p) with Timeform in the £100,000 Neptune Investment Management Novices’ Hurdle, which takes place over two miles and five furlongs on Ladies Day and has 77 remaining entries. The final day of The Festival, Cheltenham Gold Cup Day, Friday, March 16, features both the £100,000 Grade One JCB Triumph Hurdle (66 remaining entries) and the £100,000 Grade One Albert Bartlett Novices’ Hurdle (74 remaining entries).